The Best Asia VPN in the World: How to hide BitTorrent Traffic? 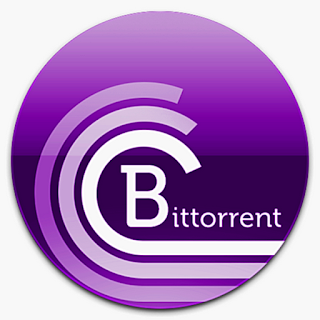 How to hide BitTorrent Traffic? Throttle and cap internet, spy on what you're downloading, is happened in most countries. If you are using BitTorrent, you'd better to hide your identity. A VPN can assign your another IP and hide your identity. It is the easiest and most convenient way to hide your activity. When you download or seed a torrent, you're connecting to a bunch of other people, called a swarm. It's impossible that you are be the only file sharer, so that's very difficult when you're sharing files with other netizens. Piracy monitoring groups also join BitTorrent swarms, but instead of sharing files, they're logging the IP addresses of other people in the swarm, including you, so that they can notify your ISP of your doings. All of those people can see your IP address during this progress. A VPN can route your traffic through another server, so that the BitTorrent swarm will show the VPN server's IP address instead of yours. You may then ask how about piracy groups then go to find the VPN provider, require the histories to figure out what you're downloading. So you'd better find a VPN provider don't keep logs, so there's no trail of activity leading to you. They can only see a proxy service sharing a file, and your ISP only sees you use a VPN, can't find you're using BitTorrent. Getting a VPN is very simple, can assign you different IP addresses in a few minutes. If you don't mind, I recommend install a VPN Client on your pc. VPN Clients are easier to use than manually setup VPNs on your device. You can find a VPN provides free accounts, which enable you to test if it works, its exact speed and connection before you make subscription. After connecting to a VPN, you need to check if IP address is changed. Besides, you can also use other methods to hide BitTorrent traffics, such as use proxy or Seedbox. But proxies are not so useful and functional as VPNs, SeedBox is more expensive the VPNs. See more difference between VPN and proxy, and differences between VPN and SeedBox.